Businesses’ increasing dependence on analytics will impact nearly every business process and the software that supports it. Download the paper by TechTarget. 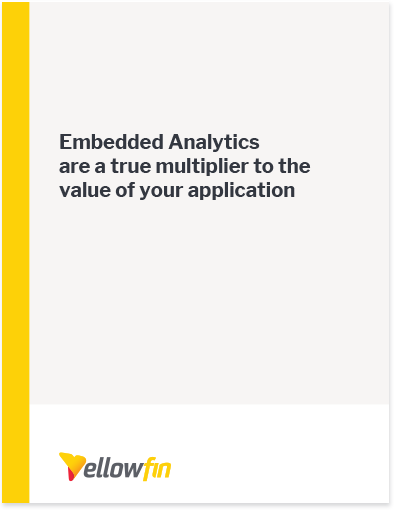 Your business application needs analytics embedded in it. But not cruddy dashboards that take weeks to configure. You need analytics that will keep up and stay ahead of the demand for more detailed and complex data insights. Pie charts don’t cut it. Automated analysis does. Plus, you need to know that the analytics vendor you are partnering with (because it’s a big commitment to integrate somebody else’s software into yours) has your business interests at the fore. They should offer flexible business models, deliver water-tight security, and a seamless integration.